Nubia has launched a selfie-focused smartphone in India. Nubia N2 will be exclusively available on Amazon price in India starts at Rs. 15,999. 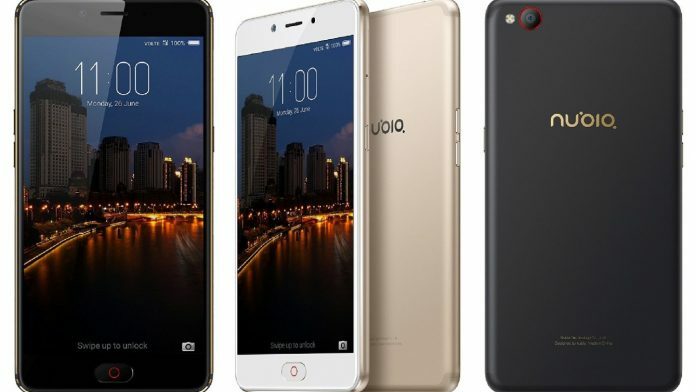 ZTE brand Nubia has launched the Nubia N2 selfie-focused smartphone in India on Wednesday. The Nubia N2 sports a 16-megapixel front facing camera which stands as a highlight feature. The smartphone was launched alongside the Nubia M2 and Nubia M2 Lite back in March. The smartphone will be made available exclusively on Amazon India from 12 pm IST on Wednesday. The device will be touted in Champagne Gold and Black Gold color variants. Nubia N2 price in India starts at Rs. 15,999. Discussing the specs, Nubia N2 features a 5.5-inch HD AMOLED display with 720×1280 pixels resolution at a density of 267ppi. The display comes with 2.5D Curved Glass on top and On-Cell lamination. It is powered by an octa-core MediaTek MT6750 SoC coupled with 4GB of LPDDR3 RAM. The dual SIM smartphone runs Nubia UI 4.0 based on Android 6.0 Marshmallow. The Nubia N2 offers 64GB of inbuilt storage that’s expandable via microSD card (up to 128GB). On camera font, Nubia N2 smartphone gets a 13-megapixel primary camera with dual-LED flash, Sony IMX258 sensor an f/2.2 aperture, and PDAF. On the front, it flaunts a 16-megapixel Samsung 3P3ST sensor with an f/2.0 aperture and an 80-degree wide-angle lens. Connectivity options on Nubia N2 include dual-band Wi-Fi 802.11 a/b/g/n, Bluetooth v4.0, 4G VoLTE, 3.5mm audio jack, GPS/ A-GPS, and USB Type-C port. A 5000mAh non-removable battery backs the device. “With every Nubia product that is introduced in India, we are increasing our ability to respond to feedback from our customers. Keeping this in mind, we have introduced Nubia N2. With proprietary Neo Power technology, and 5000mAh battery, this device lasts 3 days on a single charge,” says, Eric Hu, Country Head, Nubia India.